This is a little gem, filling a place in Brixton for a classier Chinese restaurant and there is lots more to read about from us here (click here for our previous post). There is now an extension downstairs which feels like you are entering an opium den with precipitous stairs and a dark interior. But this downstairs room is surprisingly spacious and would be great for an intimate party. Our round table for 5 was set up in a corner and other guests were around much larger table for about 12 to 18. Dim Sum is a sort of Chinese tapas – small plates or steamer baskets of highly flavoured food to share. There are lots to choose from – steamed, fried, baked or grilled and covered in pastry, cotton wool, see through or flaky. 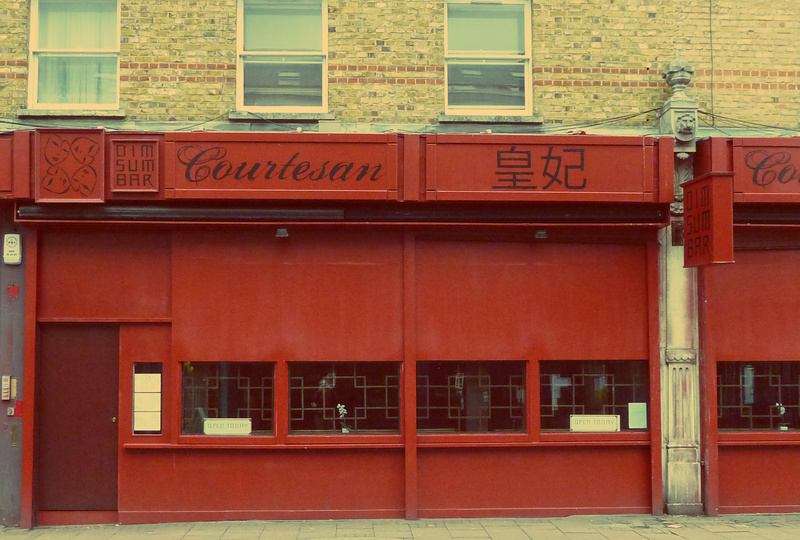 Courtesan has enhanced the Chinese dishes with some Brixton flavours like jerk chicken sticky rice in a lotus leaf or the jerk ribs. This short post is just to say the food is even better. The fried squid was wonderful, jerk ribs soft and spicy and the grilled sea bass a brilliant way to start the meal. All our dishes were a delight. We had only a few as we had eaten our first course at home in case it was impossible to have a conversation – but it wasn’t. Despite the noise we contributed to the mayhem with political arguments and disagreements about student loans. The bill was about £21.00 per person including cocktails but those who are hungrier should expect to pay more as we had 8 dishes.